It is a safe, effective baby shampoo & hair cleanser. It is made with soothing, natural Aloe Vera and Olive Oil. This toxin free Biobloom Baby Shampoo is Sulfate Free (NO SLS/ SLES). Biobloom’s Baby Hair Cleanser (Shampoo) is made with soothing, natural Aloe Vera and Olive Oil. 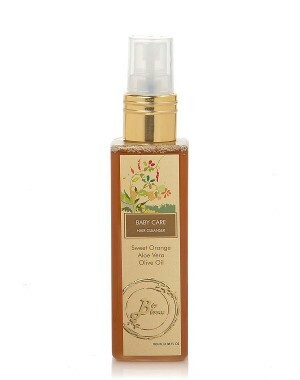 This toxin free Biobloom Baby Shampoo is Sulfate Free (NO SLS/ SLES) and is a safe, effective baby shampoo & hair cleanser. Gentle, pure & natural, it also smells amazing with natural sweet orange essential oil.